Ableton’s Loop festival/conference/summit is now more than just a get-together for Ableton users. It’s become a kind of international music happening. And so lots of interesting folks are gathering here in Berlin later this week. That’s just a tiny, tiny fraction of the people reading this, though. Now, if only we could get more of you here, sort of virtually. With that in mind, I’m going to do an open call for any kind of project you’d like to share. I’ll survey these and keep tabs on them here in CDM. And for those of us who are gathering in Berlin Sunday, we can share in person and get back to all of you through the power of the Internet. By “open,” I mean anything that has some kind of permissive license for copying and modification, or that’s totally free. It could be a project for making contact mics or documenting how to make field recordings, too – not just software and hardware. And it doesn’t have to be Ableton-related, either – I do expect a good mix of people already at this event. Of course, with open source tools, this is really important. Just making something open source doesn’t necessarily get people to collaborate on it. So if you want to invite users, testers, collaborators, and other feedback, you need to make connections. A get-together to exchange, discover, and collaborate on open and handmade hardware and software. Sometimes, realising the sounds in your imagination means making or modding your own tools and instruments.This meetup is a chance for us to share these inventions, born of necessity, with each other. CDM editor Peter Kirn talks about how to use open licensing to allow collaboration and learning, and takes a look at some of the more interesting creations in today’s global music community. Then, he’ll hand the floor over to you. Pack your own handmade gear, custom code, patches or hacks if you’ve got them, and be ready to play with others. And if you want to submit your project for that get-together (or later coverage on CDM), fire away here! I’m curious what you’re working on. After all, CDM is what it is – and arguably Ableton Live, too – because of people getting started with creative controllers, hacks, and new ways of making and playing music. It’s time to check in on the state of that landscape, and the stuff you’re most passionate about. For added inspiration: Let’s remember those who came before. 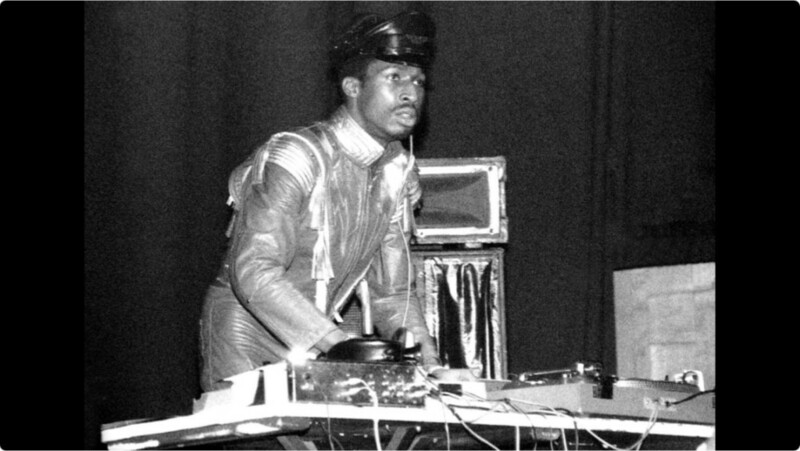 Grandmaster Flash, pictured here, showing some DIY futurism. Via the wonderful Leah Buechley.